Mirus is an integrated reporting solution designed for multi-unit restaurants. Data is collected from existing systems across multiple locations then seamlessly organized to measure and improve business performance. Restaurant companies who use Mirus do not need to purchase new systems. Mirus can integrate with any data source, it's what makes our reporting platform unique. With more than 30 years of experience in the restaurant and technology industries, Dave has deftly steered Mirus through its formative years as well as into its current growth phase. Prior to joining Mirus in 2000, Dave delivered more than $500 million in large-scale information services contracts for IBM Global Services. In addition, he previously served as the vice president for information services for the now Dunkin’ Brands, where he managed the information strategies and policies of more than 5,000 Baskin-Robbins and Dunkin’ Donuts locations. Dave holds a B.S. in Business Administration and MBA from Northeastern University. 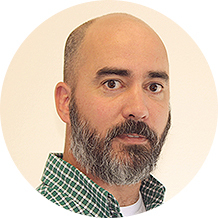 Jeff joined Mirus in 2000 and has led the development of policies and procedures for the company’s data center’s daily operations. He heads up Mirus’ data acquisition, ETL development, user interface and intelligence engine teams. 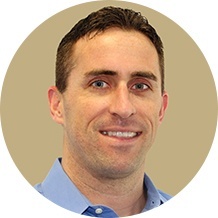 Prior to joining Mirus, Jeff served as the director of IT for a regional chain restaurant operator and as a systems engineer for a major restaurant solutions provider. He is a U.S. Army veteran of Operation Desert Storm and attended Central Connecticut State University. Alan is responsible for servicing the daily needs of Mirus clients. He leads the account management team and is responsible for getting new clients up to speed as well as coordinating ongoing client projects and priorities with the operations and development teams. 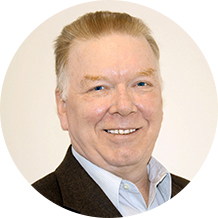 Since joining Mirus in 2004, Alan has spearheaded the development of the company’s library of best practices. Prior to coming to Mirus, Alan served as a manager with Chili’s Bar and Grill. He earned his B.S. in Hotel and Restaurant Management at the Conrad N. Hilton College at the University of Houston.